Not sure why. I like beef just fine! But I'm only eating it maybe twice a month. Domestic beef is on the pricy side in Japan. People do buy Australian and U.S. beef, but Japanese beef is more popular, I guess. 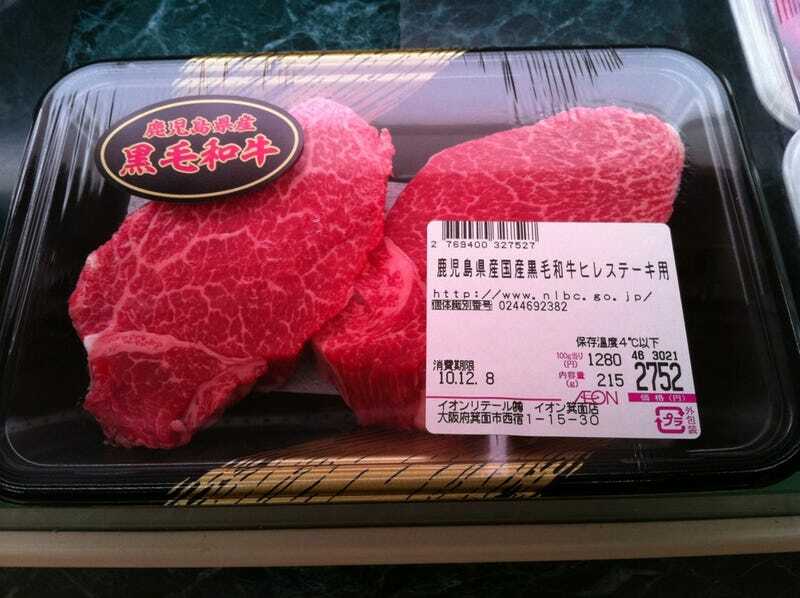 These Japanese steaks are about US$33 for both. Meat can get even crazier expensive here, but generally you can get a good steak for about fifteen bucks. I think I might go eat yakiniku before I leave for America later this month. But whenever I eat yakiniku, I always end up eating mostly vegetables. Grilled onions are tasty! Sounds nutty. But let me explain!